I skipped 2013 and 2014. Not a single post in those two years. What happened to me? With my eyeballs rolling, I would say, "Busy. Just busy". It doesn't mean that I already discarded this blog. The more I stay away, the more I desire to come back. I did answer some queries about the beach wedding venues. Some promptly, while some very late that they already forgot they posted a comment or sent a query. Bad me. We'll, I guess I'll be back blogging in 2015. But it won't necessarily be here at this site. I still have some other blogs to resurrect. For property developers like EDSA Grand Realty and Development Corp., nothing beats quality materials in the construction of their projects. Like their newest 30-storey, 700-unit residential condominium EDSA Grand Residential that is strategically located along EDSA near the SM City North Edsa area, they expect nothing less. “Quality residential units are what buyers look for when considering condo unit purchases so they get value for their money. That is why we emphasize on using quality materials for our projects,” explains Engr. Caesar Tan, Vice President of EDSA Grand Realty and Development Corp., one of the fastest-rising property developers in the country. Engr. Tan says that made sure that it comes complete with all the necessary amenities and features like pool and sauna and of course, security features like individual fire-rated steel doors, including 24-hour roaming security personnel, Closed-Circuit TV (CCTV) cameras, and key-less entry system to monitor movements. “We are confident enough of the security features in place and so far, with our other projects, we have had no experiences in terms of breach in security,” says Engr. Tan. And yes, even doors and windows, Engr. 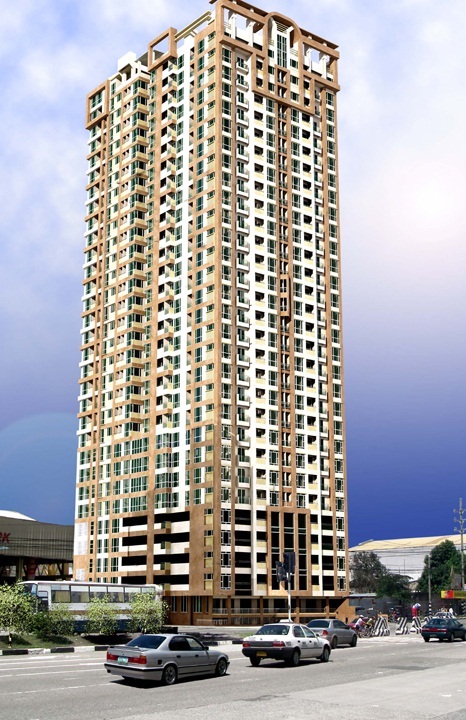 Tan acknowledges, were also considered in terms of providing additional security and safety to unit buyers. For this requirement, Engr. Tan said they turned to Portal East, Inc., a company that designs, tests, manufactures and installs quality uPVC windows and doors for new construction, remodeling and placement applications for residential and commercial projects. One unique feature of Portal East windows and doors is the innovative “Multi-point locking system” that makes them secure, virtually burglar-proof and durable with its high-quality reinforced steel core. Aside from that, Engr. Tan says Portal East windows and doors are air and water-tight so you don’t have to worry when it’s raining hard or when there are strong winds. He said that Portal East doors and windows are also sound proof and provides protection from harmful ultraviolet (UV) rays. Engr. Tan was also happy to note that Portal East’s products, aside from providing additional security, also met their company’s aesthetic requirements for EDSA Grand Residences, particularly for windows. “Our main concept was to create units with an unobstructed view of the city regardless of where your unit is. It’s what we call ‘picture window’ so we opted to use Portal East windows because we could make them bigger. We are happy that because of their big product portfolio, Portal East was able to meet our requirements for bigger windows,” Engr. Tan explains. 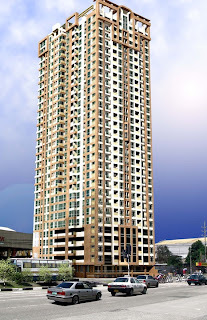 EDSA Grand Residences is located along EDSA corner Corregidor Street, Quezon City. For inquiries, call EDSA Grand Realty and Development Corp. at 536-7363 to 65; 310-5674 to 75; 521-7378 (fax) or you can email inquiry@adriaticogrand.com / info@adriaticogrand.com or visit www.edsagrand.com or www.grandproperties.com.ph. Office is at 1736 San Marcelino St., Malate, Manila. For Portal East product inquiries, call 242-2821/242-2721/245-5132, or 242-6906 (fax), email sales@portaleast.com or visit www.portaleast.com. Portal East main office is at 805-807 State Centre Building, 333 Juan Luna Street, Binondo, Manila. Main plant is at NY Compound, 76 Bisalao Street, Bagbaguin, Caloocan City.